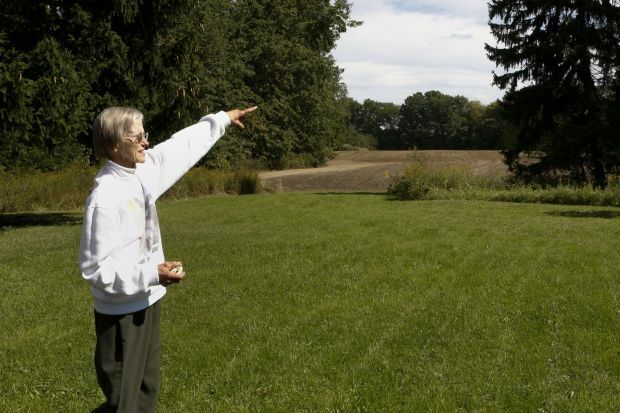 PULASKI TOWNSHIP, Pa. (CNS) — Pauline Beck looks out over her 30-acre farm and points to the east. 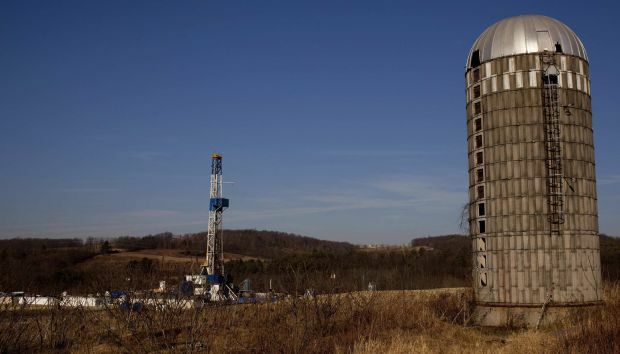 It’s there, not quite a mile away, where a natural gas well is likely to be built as Pennsylvania secures its place as a leader in America’s burgeoning energy industry. And that saddens Beck, a member of nearby St. James Parish. Once construction begins, Beck, 63, envisages that the peacefulness and solitude that allows her to appreciate being part of God’s creation — the breezes rustling the trees, the wildlife, the food she raises, the star-studded night sky and yes, her two friendly goats, Pygmalion and Billy Budd — will be disrupted by the hundreds of trucks, bright lights, roaring industrial machinery and unpleasant odors associated with well drilling. Eight miles to the south in the crossroads hamlet of Hillsville, Father James Downs, pastor of Christ the King Parish, is patiently waiting. He is eager to negotiate a deal on a lease for the natural gas rights under the two church properties that make up the parish. Father Downs, also the pastor of St. James, sees the lease as an opportunity to secure Christ the King’s financial future so it can continue to serve Catholics in the economically depressed rural community a mile or so from the Ohio-Pennsylvania line. Neighboring property owners have signed leases, reaping thousands of dollars in payments. There’s no reason Christ the King should not join them, Father Downs reasoned. “Life is kind of a trade-off no matter what you say or do,” he told Catholic News Service. “I don’t know how much that you can paint with a very broad negative brush as far as this is concerned,” he added. Two people, sharing one Catholic faith; two differing views on the natural gas boom that has swept across Pennsylvania since 2006. The stances illustrate the divide that exists over how to develop the vast natural gas deposits in shale formations deep underground in many areas of the United States. The divide falls along how the gas is extracted: an industrial process known as slick water hydraulic fracturing. Fracking, as the process is commonly known, uses millions of gallons of water, almost always trucked in, sand and a proprietary mix of chemicals. The mixture is pumped under tremendous pressure through a well drilled a mile or more underground and then horizontally up to two miles to fracture shale formations. The sand particles hold the fractures open so the gas — and in some cases complex hydrocarbons such as benzene, ethane, propane and toluene — can flow to the surface. Supporters of fracking, such as Daniel Whitten, vice president of strategic communications for the Washington-based America’s Natural Gas Alliance, defend the process as being safe, vital to meeting America’s growing energy needs and securing the country’s energy independence. He said energy companies are tightly regulated by state and federal agencies and take precautions to safeguard workers and property owners near well sites. “There is nothing more important to our industry from a business perspective than doing this right,” Whitten told CNS in his Washington office. “We want to be welcome into communities because we want our workers to live in those communities, to worship in those communities and to enjoy recreation in those communities,” he said. “And our companies have a business incentive for doing this right. “If we are not protecting people’s water and air quality, if we’re not respecting the land, we’re not going to be welcome back,” Whitten added. Father Downs finds little to argue about with the industry. Beck is one of those opponents. She and other fracking critics have undertaken a crash course in the science of fracking in an effort to raise public awareness about what they consider to be a dangerous industrial process that poses excessive risks to groundwater supplies and human life. Beck also cites Catholic teaching on the environment in her efforts when she and a few friends attend township trustee meetings and talk with neighbors and parishioners about their fracking concerns. Although Beck has found people have been kind enough to listen, she said the lure of tens of thousands of dollars from leasing rights and royalties once gas production begins usually trumps any message of environmental stewardship. Similarly, groups such as northeast Ohio’s Faith Communities Together and Marcellus Protest, working out of the Thomas Merton Center in Pittsburgh, use a mix of faith and science in their work. The faith-based teachings appeal to emotion while scientific data demonstrates how fracking releases volatile organic compounds and naturally occurring heavy metals, salts and radioactive elements that normally are locked underground where they otherwise would pose no danger. 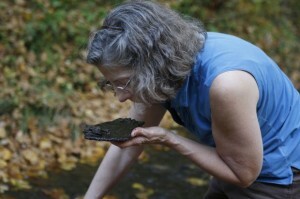 Elsewhere, Cynthia Walter, associate professor of biology at St. Vincent College in Latrobe, Pa., volunteers as a science adviser to organizations such as the Westmoreland Marcellus Citizens Group and the Mountain Watershed Association in southwestern Pennsylvania. She also can be seen traipsing into wild areas to gather water samples and examine aquatic life in creeks across Westmoreland County. Based on her observations, she told CNS she would like to see stricter requirements for water testing across the state in an effort to protect human life and preserve Pennsylvania’s recreation and tourism business.